AirPods cases are apparently a thing now. We've reviewed stylish, protective cases like the Nomad Rugged Case. We also took a look at functional models like the Twelve South AirSnap. Then we've gone in-depth on a few wireless charging cases and even tried out a fidget spinner case. AirPodPal is a mixture of all the above. The carbon fiber model infuses a bit of modern style with wireless charging, convenience, and some extra battery life. The flagship model in that carbon fiber matches most of Pitaka's other products such as their insanely thin and rigid iPhone case. For those who don't prefer the carbon fiber, or opt for the cheaper models, they also come in plastic, in various colors. Both versions otherwise have feature parity. They each offer a strong stainless steel clip for keeping AirPods accessible, such as on the inside of a pocket, outside of a bag or on a strap. 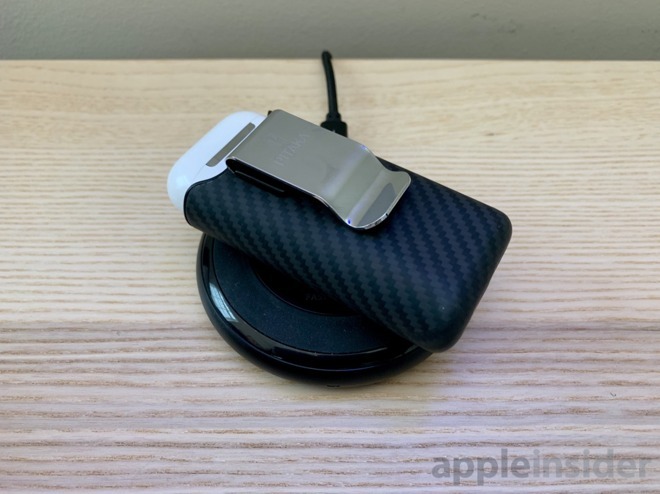 The flip side hides a wireless charging receiver, letting your AirPods and the internal battery of the AirPodPal fuel up with any Qi wireless charging pad. This internal battery will get you an extra two days of continuous use from AirPods. Depending how frequently you use your AirPods, this could last you weeks or months. If you've got a USB-C to Lightning cable, you can even use the AirPodPal battery to top off your iPhone. It isn't a huge boost, only an extra 30-percent or so, but that could prove fruitful when your phone is tapped and you need an Uber. As much as there are positives of the AirPodPal, there are corresponding negatives. We don't agree with everything espoused on the Kickstarter page. 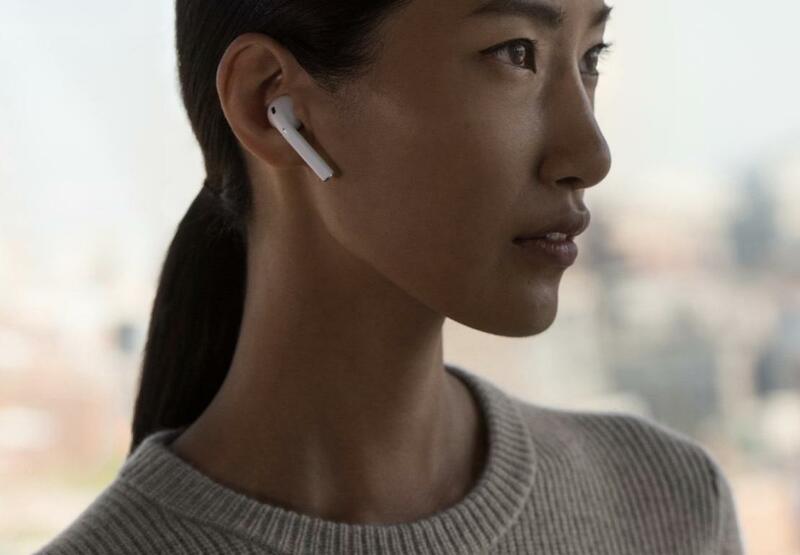 For example, it claims that "social media has shown us that wearing a set of AirPods is very fashionable, so their case should also enhance your personal style." This is not a good look. 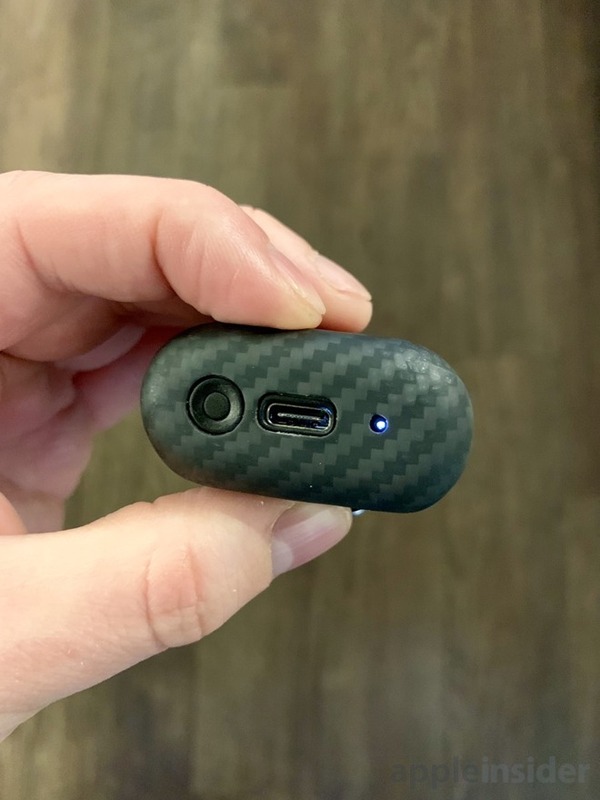 Not many out there would call strapping a pair of AirPods to your hip as "very fashionable," yet that is what Pitaka is promoting. This isn't the '90s or '00s, and the look should have died then. There's no requirement to wear them this way though, and the clip is absolutely useful for affixing the case to the side or strap of a bag. 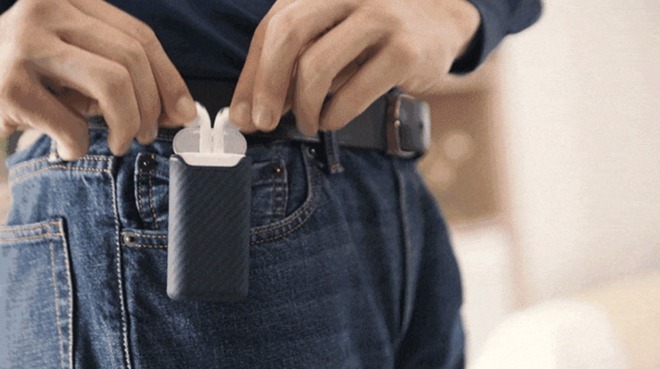 The issue that arises is because of the size, the AirPodPal is difficult to fit in a pocket, almost necessitating the ridiculous look of clipping them to your jeans. When testing, we fit them in our jean pocket with the clip overhanging to the outside -- which was pretty goofy looking in itself. We've been waiting a long time for Apple to add a wireless charging case to AirPods. Even when they do, it will be an extra add-on that can cost around $69 for the case if you already own a pair. Pitaka looks to not only add that wireless functionality but make them easier to find and last a whole lot longer. Instead of just tossing your AirPods in your bag, AirPodPal keeps them readily available and full of charge. The biggest hurdles for would-be buyers to overcome is the bigger size and the lack of protection for the top of the AirPods. The counterpoint is that it still offers more protection than no case and it frequently negates the need for an extra battery pack. 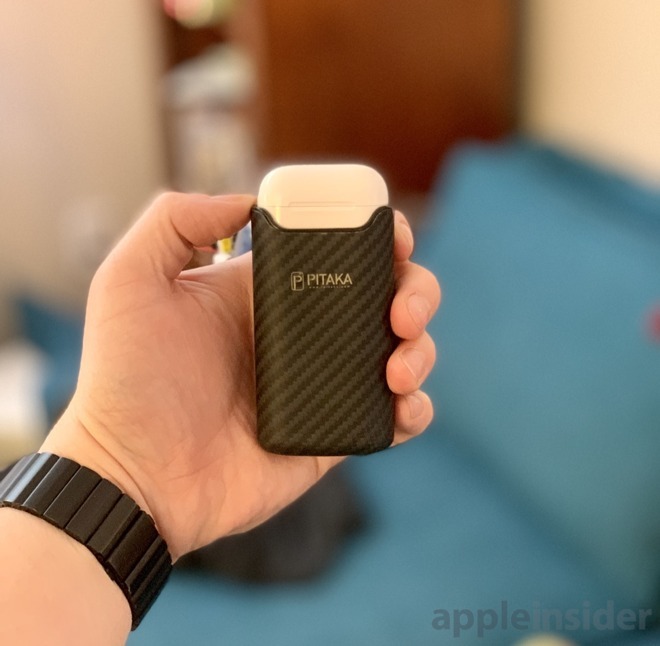 The Pitaka AirPodPal is currently getting funding via Kickstarter where at time of press it has already raised nearly 500 percent of its goal. You can grab an AirPodPal case starting at $29 with early bird pricing. A reminder, Kickstarter is not a guarantee a product gets made so be sure to keep that in mind. That said, Pitaka is an established brand that has successfully brought several products to market via Kickstarter and AppleInsider has tested the product to ensure its veracity so chances are if you back the project you will receive your pledge reward. I wonder if it came from hawaii from a missing wireless apple watch series III wireless charger cable. If they are promoting that wear usage, the least they could have done is include a pager in it! I guess I'm one of the few who wear pants with pockets big enough that this isn't an issue? I'm sure I'm gonna get crap for this, but frankly, I don't think it's any "goofier" looking than wearing a set of headphones in the first place. Especially something like AirPods. And to Pitaka, why the heck did you not think to put a cover on it? Apple, please get that first party wireless charging case out asap. The third party market for this has been horrific. I've 3 of the top recommended solutions and they are all garbage. Now seeing this one...oof. This a coffin that desperately needs to be nailed shut, permanently. You know, of all the Airpod 2 features we request, we never think of extended battery life. Struggling to find this especially goofy-looking. Certainly no more than any sort of use case-specific article, such as active wear clothing. That was kinda my point, perhaps not expressed very well. If one doesn't find AirPods "goofy" looking, I'm struggling to understand how the AirPodPal would be especially goofy-looking.